These days, homeowners are turning their garages into man caves, an additional bedroom or mother-in-law suite, a laundry room, an office space, an at-home gym, or to simply create a more effective storage solutions to better manage their belongings. 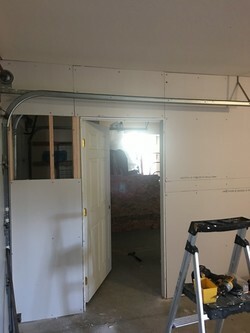 Whatever your garage renovation needs are, the skilled handymen at Picture Perfect Handyman have over 6 years experience handling garage renovations in a timely and affordable manner. Renovating your garage is a quick and affordable way to improve the living space in your home. Since 2013, Picture Perfect Handyman has offered a wide variety of garage renovation services to local homeowners. Our attention to detail and quality craftsmanship provide homeowners with a newly renovated garage that improves their day-to-day living needs by transforming unorganized garages into fully functional spaces. All garage renovations by Picture Perfect Handyman are completed with care, structural beauty and function. Call (661) 457-5991 for a free quote!